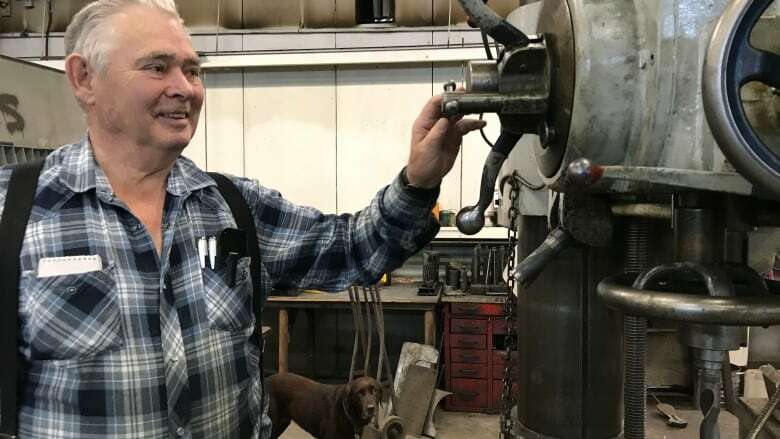 'We've made it loud and clear that despite being in the North, we're not any less susceptible to the damage being done by these tariffs,' says Yukon Chamber of Commerce. Robert Jacobs' family business has weathered many storms since it was founded by his father, Ed Jacobs, in 1943. But ongoing tariffs between Canada and the United States is the latest obstacle, and there doesn't appear to be relief coming soon. Like many Canadian business owners, Jacobs feels he's caught in the middle. He says the cost of material has gone up and customers are being asked to pay more. "We just add it on to the bill to the customer. We have to do that. Taking 10 per cent, 12 per cent hit on that is quite a bit," he said. "On manufactured parts that we buy, — bearings, tires, things for different repairs that we do — if the price has gone up we increase the price to compensate." U.S. President Donald Trump imposed tariffs on Canadian steel and aluminum on June 1, under a rarely used national security provision in the United States. The Canadian government has been lobbying to end those tariffs — even imposing reciprocal tariffs on U.S. goods in response — but has not been successful. The Yukon Chamber of Commerce says it's hearing concerns from members about tariffs, which have now been in effect almost six months. Stanley Noel, the chair of the chamber's board of directors, says the group is trying to raise its voice at a national level through the Canadian Chamber of Commerce. "Not only are we hearing it from our membership, we're hearing it from all Canadian businesses. It's an outstanding, major issue with the Canada-US-Mexico trade agreement. The tariffs affecting Canadian businesses still remain and we're not sure where it's going at this point," he said. "Despite being in the North, we're not any less susceptible to the damage being done by these tariffs." The federal government had hoped that the tariffs would be lifted before it signed on to the new NAFTA agreement, but they still remain in place. That is a disappointment to some entrepreneurs like Joe Zuccarini who works with Duncan's Ltd, a metal working shop in Whitehorse. He says some material costs have increased 40 per cent. "I expected the tariffs to end when they signed the new agreement, obviously that didn't happen," he said. "I don't know what the government is thinking. And even if they do lift it, are the prices really going to go down?"